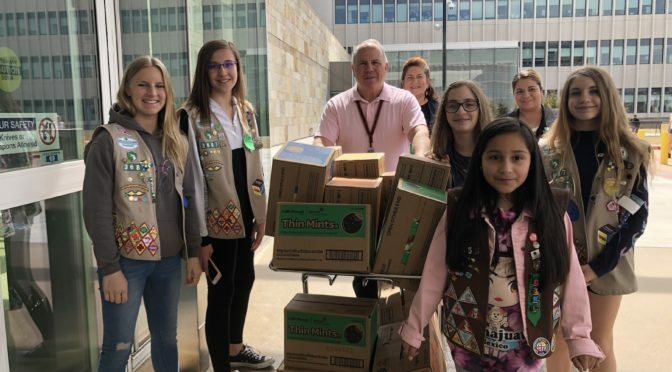 As many as 20 Girl Scouts, along with their troop leaders and Girl Scout supporters, delivered 12,000 packages of Girl Scout Cookies to the Rocky Mountain Regional VA Medical Center in Aurora on Thursday, March 28, 2019. Girls handed out a fraction of the cookies to veterans and staff. The rest will be delivered to VA hospitals and clinics throughout Colorado. Thank you to Reporter Shawn Chitnis of CBS4/KCNC-TV for joining us for this great event and sharing this story. We stayed at Twisted Pine Lodge for our cookie rally this year. 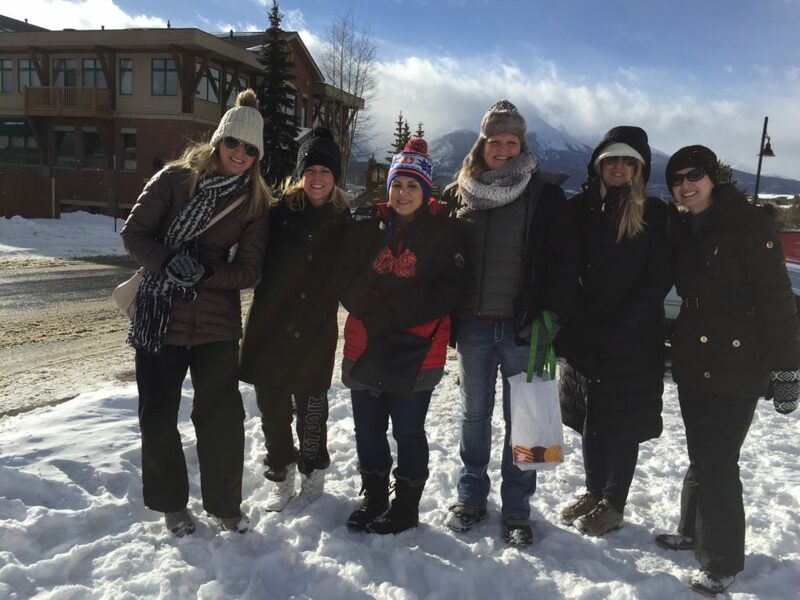 We were so happy to have the lodge that was warm. 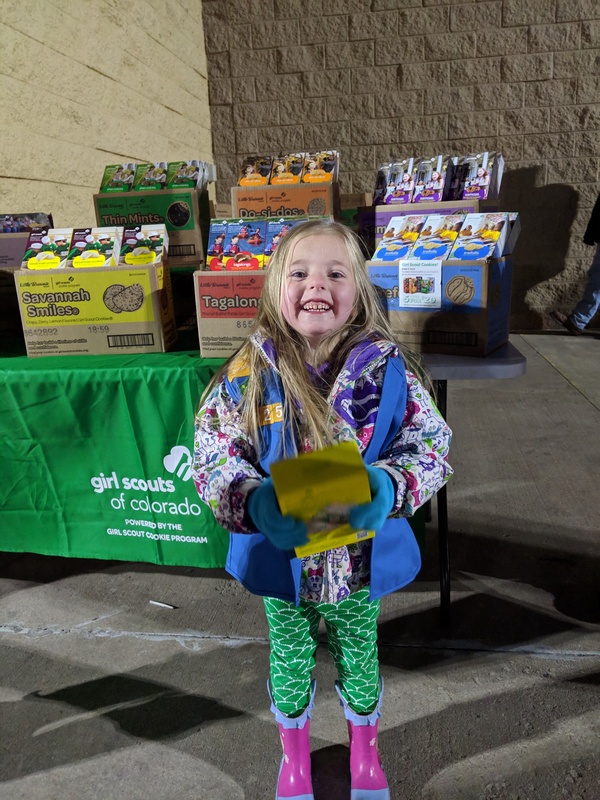 We learned at our cookie rally that because we sell cookies, Girl Scouts of Colorado can offer locations like this to troops for very reasonable rates. Because we had a location like Twisted Pine to stay at, we were able to go as a troop to the Ice Castle in Dillon. 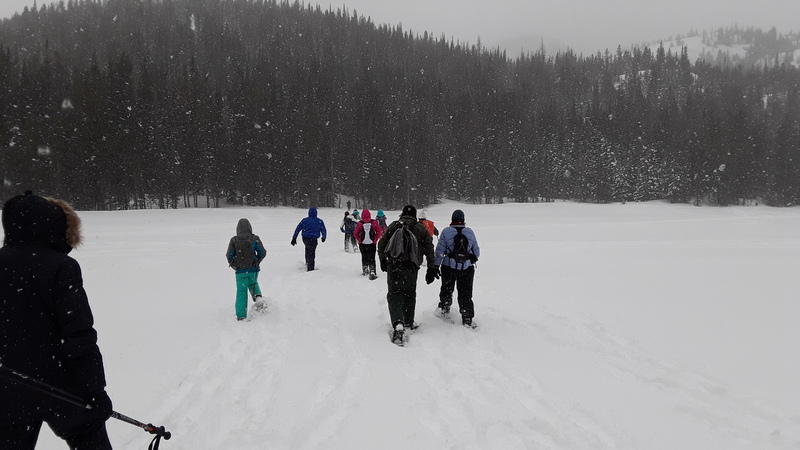 It was a long drive from Colorado Springs and being able to stay halfway helped our parent volunteers not have to drive both ways in one day. It was a long drive. 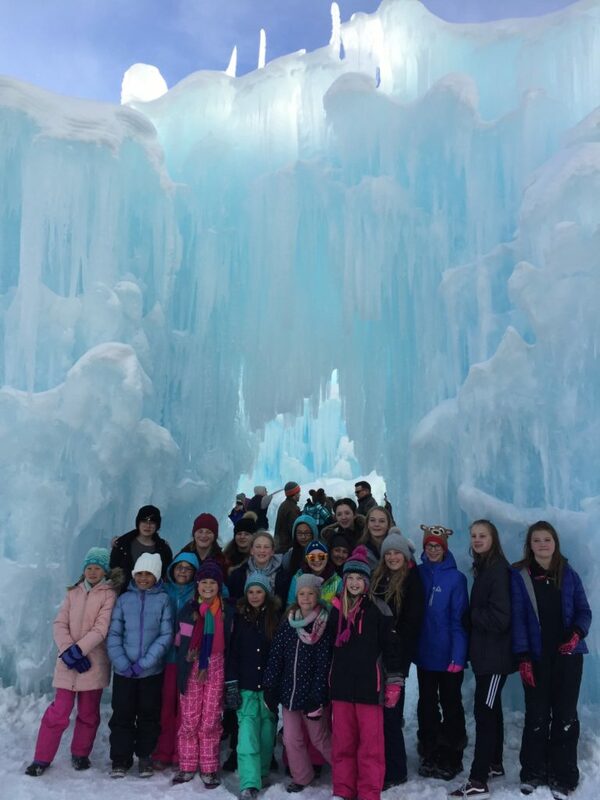 The Ice Castle was so much fun. We had a tour by the manager, who was a Girl Scout alum. She showed us the features of the castle and told us how it was made. We played in the caves and on the slides. We played until we were too cold to stay any longer. Because we sold cookies, we as a troop paid for this entire trip for 20 girls. I love challenging myself by setting a higher goal each year. I work hard to meet and beat my goal, as well as donate cookies to the military and our Hometown Hero, CASA. 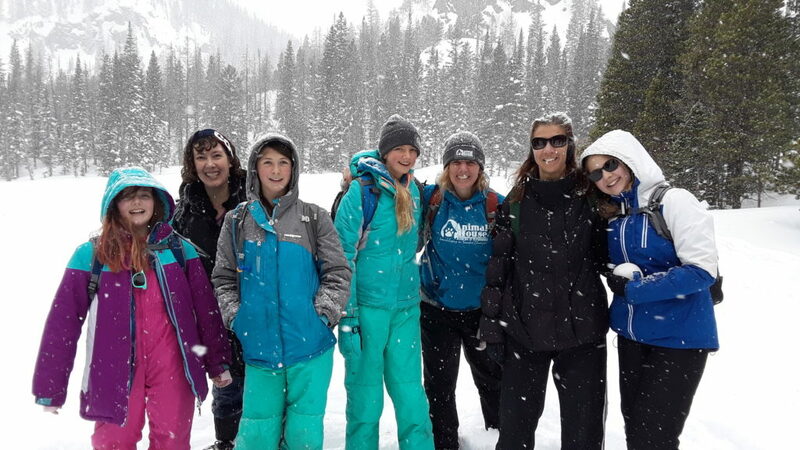 I love Girl Scouts because it gives me the chance to do things I haven’t done before and step out of my comfort zone. 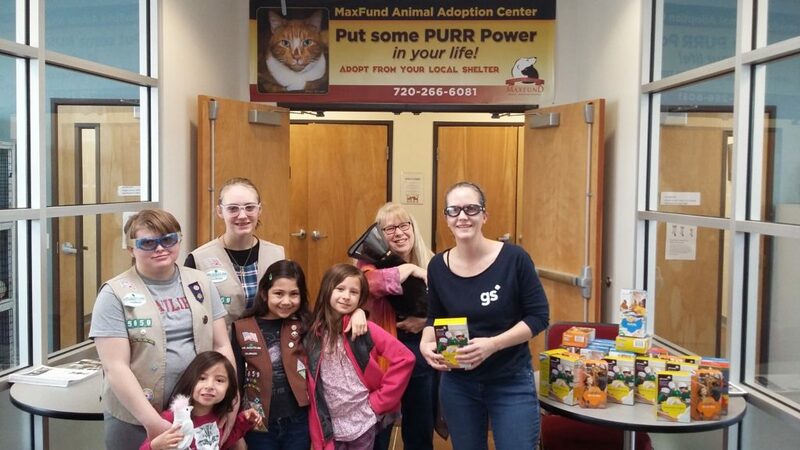 The girls of multi-level Troop 65659 wanted to reward and support those in our community who help homeless animals. They selected Maxfund for Hometown Hero cookies this year. While they were there, they toured the cat shelter and gave the cats much needed love and attention. There are many, many cats at Maxfund in need of a loving home! MaxFund provides emergency care and a home for injured animals until the owner is located or a suitable home is found. MaxFund is a TRUE no-kill shelter. They also provide low-cost vaccinations, pet food, and spay/neuter clinics for pets of low-resource families, and a Therapy Program. 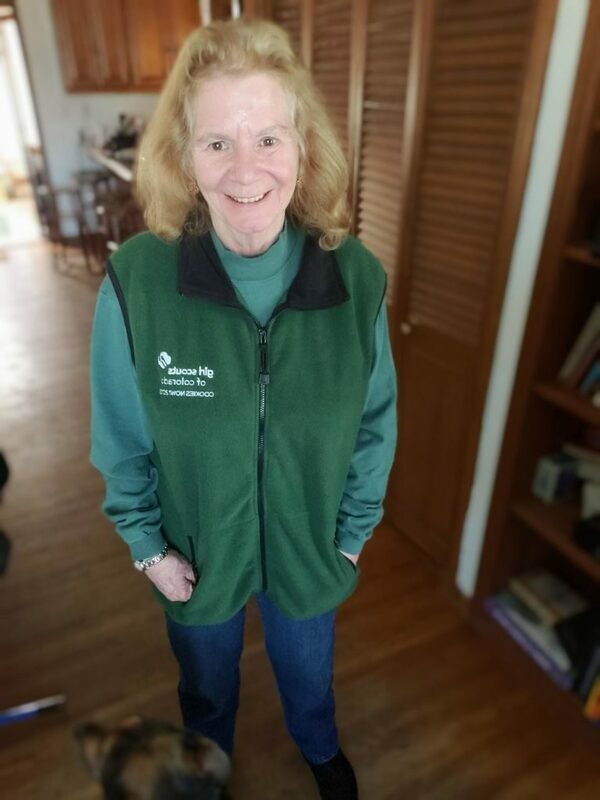 It takes pets to visit senior centers, the VA Hospital, and nursing homes. 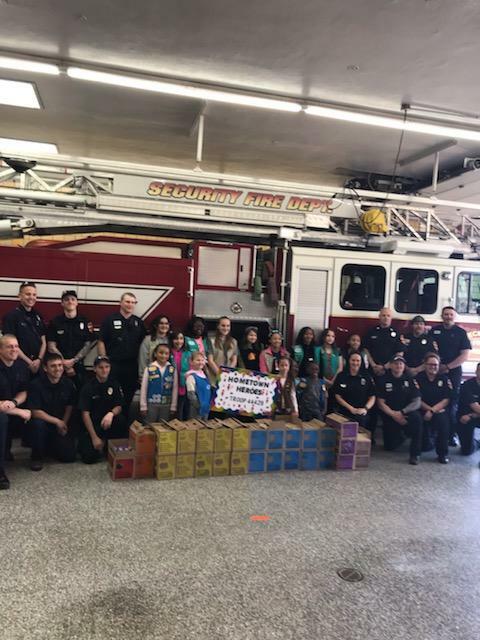 The Girl Scout Troop 50292 of Kremmling delivered their Hometown Hero Girl Scout Cookies at the school board meeting on March 12, 2019. 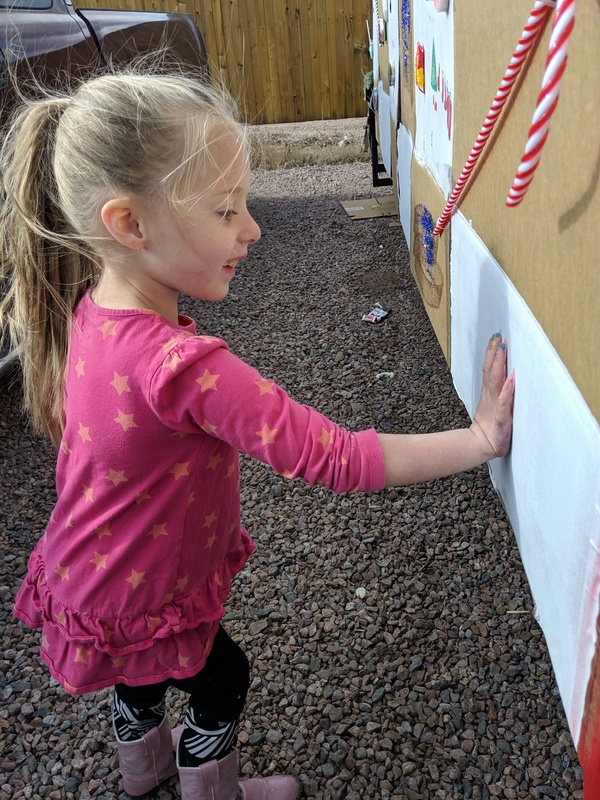 The Hometown Heroes is a program in which the girls get to choose an organization in their community to donate cookies to, and this year the girls chose their teachers. They started with a pretty good list of well-deserving organizations, but their teachers won by an overwhelming majority. 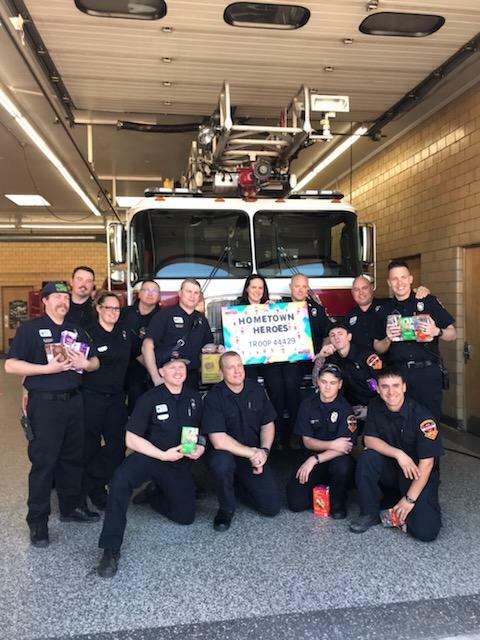 They were delighted to present their teachers with 204 packages of cookies, each of which had a sticky note on it thanking their heroes. These girls love their teachers!